The BMW M series is made for the driver that wants a vehicle made for the racetrack. All eight models push the limits of what you expect from a street-legal vehicle. 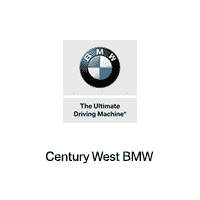 Century West BMW has a great selection of M series vehicles, and we would love to show them to you. The BMW M2 is the newest M model, and the two-door coupe comes with a twin turbo engine and a 7-speed clutch that can generate up to 365 horsepower and can go 0-60 in 4.1 seconds. The M3 has a classic BMW look and feel with a lot of power in its compact frame. The 3.0-liter inline six engine can generate 406 pound-feet of torque with 425 horsepower and lowers the 0-60 time to 3.9 seconds. The M4 comes as a coupe or a convertible and both have the 3.0-line six-cylinder engine. The leather seats can adjust ten ways and have 4-way lumbar support. The M5 sedan ups the power with a 4.4-liter engine with 600 horsepower and a 0-60 time of 3.2 seconds. The M6 comes as a Gran Coupe and a convertible and have the same 4.4-liter engine. The X5 sports activity vehicle brings the power of the BMW and the convenience of an SUV. The power comes from the 4.4-liter engine with 567 horsepower and the handling and cornering of a sports car. Then there is the unique X6 sports activity vehicle and is incredibly agile with Dynamic Performance Control and Active Roll Stabilization.